If you a looking to add a voice to your project, this is the kit for you. 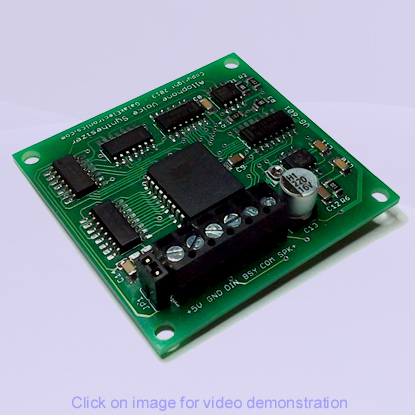 Based on the classic SP0256 speech synthesizer, The Allophone 64 Voice Synthesizer Development Kit is a fully integrated Speech Synthesizer with both microcontroller and USB interfacing. Supporting software allows the user to quickly and easily create new and unique words and phrases. Additionally, the Synthesizer Board can be purchased separately for those who want strictly Microcontroller interfacing. The Standalone PC board comes preassembled and includes instructions. Development kit includes Synthesizer Board, Instructions, Phraseology creation software and USB cable. Powered directly from USB port, so no external power needed. 64 unique allophone samples stored on 2MB of onboard memory. Allophone library fully compatible with standard phoneme conventions. Word and phrase creation software with over 500 preprogrammed words. Separate allophone chart window with International Phonetic Alphabet. Variable pitch control for more realistic voice intonation (USB only). Onboard Audio amplifier with volume control directly connects to speaker.